I cannot help but wonder what this lovely looking group, performing at a 1969 sexhibition in Copenhagen, sounded like. Who were they? Did they make any records? Are they still around? (Pictures from an old Swedish weekly, picked up in a thrift store in Stockholm). Hopefully coming soon to a TV near you and me, 'Who's Toby?' might be the funniest British comedy-drama since 'The Office'. Made by WindowSlaws films, the people who gave us... well nothing that comes to mind actually save the odd music video, the series (all improvised) follows two young men, Aaron and Toby, on "their terribly important and life affirming gap year". It has witty and insightful dialogue (lots), violence (some), a killer ringtone (one) and an extensive use of aaa's (plenty). I think it's brilliant, and I've only seen a handful of 30-second trailers. Take a look yourself, then call your local network. And if you are a network, what are you waiting for? Been having fun lately with the great little DIY blues maker recently mentioned on my friend Andy's blog. It also reminded me of a wonderful blues primer that was doing the rounds a few years ago. While waiting for me to find a proper use for the blog: Here, for all to enjoy, is a light garagy little number from an LP my dad bought way back when we lived in Singapore. 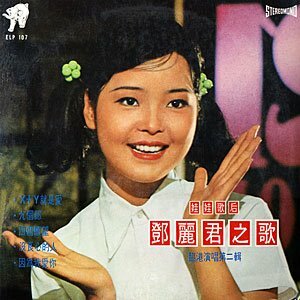 I've learned that it's by one Teresa Teng, but I don't know the title of the song or when it's from, nor the title of the LP because it's all in Chinese... but I do know I've loved it since I first heard it.